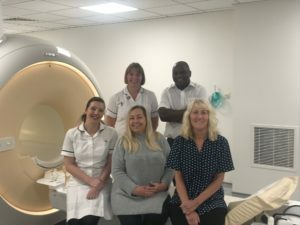 Patients are to benefit from a new MRI scanner at Solihull Hospital which is much wider, quieter and has the option of feet first scans for many, helping to reduce the feeling of claustrophobia and anxiety that can often come with a scan and makes the procedure much less daunting. The new scanner has faster motion correction features than others within the Trust, which will provides improved image quality in a shorter of period of time so that the imaging team can provide a more accurate and efficient diagnosis. An MRI scan can be used to examine almost any part of the body, including the brain and spine, bones and joints, and internal organs and the results of an MRI scan can be used to help diagnose conditions, plan treatments and assess how effective previous treatment has been. “We are very pleased with this investment in MRI scanning technology. Being able to offer the latest scanner software combined with wide bore imaging will improve patient choice and their scanning experience, as well as obtaining the highest quality images. This new addition now makes wide bore MRI imaging available across Heartlands, Good Hope and Solihull sites”. 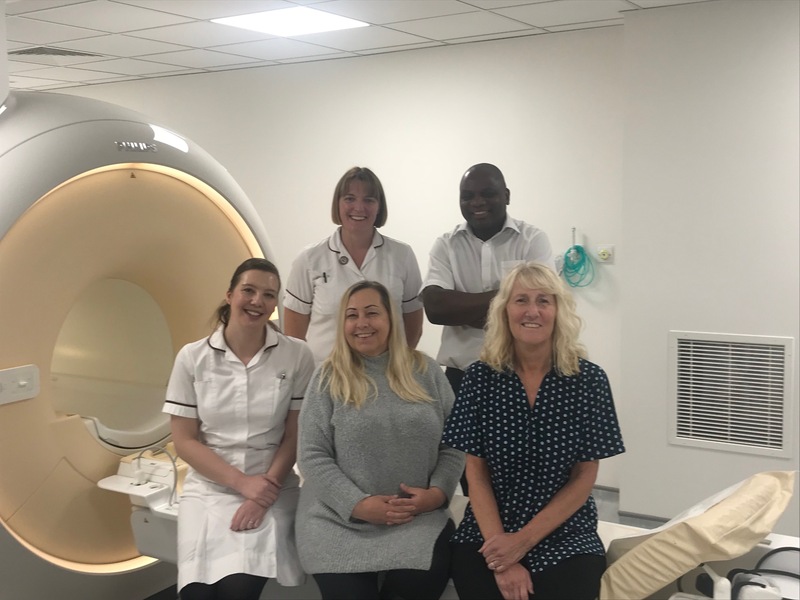 Now fully operational, the first patient to receive their scan via the new equipment, Pamela Browett was warmly greeted by the team (pictured from l-r: back row Claire Hughes and Isaac Chihwe, Solihull Hospital MRI lead. Front row: Leanne Nash, senior cross-sectional radiographer, Pamela and Alexa Hawkes, MRI booking co-ordinator).